What do bees do if they want to use public transportation? They wait at a buzz stop. Can bees fly in the rain? Not without their little yellow jackets. Okay, okay enough of the bee jokes! Let’s talk bee crafts instead, because you are going to absolutely love these cute bee crafts! 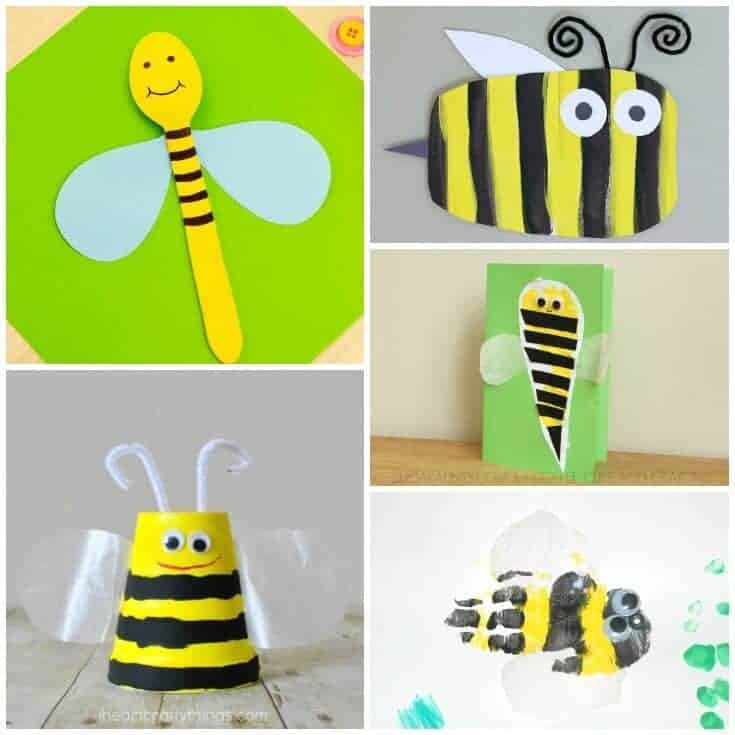 Instead of throwing your toilet paper rolls in the trash when you are done with them, let the kiddies use them to make this adorable bee craft. This fun bee craft is made using a foam cup, wax paper, and pipe cleaners. It is easy to make and super duper cute. Kids will love making this Handprint Letter B! B is for bees! This bee arts and crafts project is made using construction paper, pipe cleaners and tempura paint. Will you BEE my Valentine? Housing a Forest shows you how to make this easy craft with just construction paper, scissors, glue and a Sharpie. This cute Bee Footprint Kindness Card is perfect for kids to make and give to their family and friends. This fun and simple bumble bee handprint craft is perfect for even the youngest of kiddies. While most people don’t associate bees with Valentine’s Day, you probably will after you see this lovely Doily Bumble Bee Valentine’s Day Craft from I Heart Arts N Crafts. Did you know that you could recycle an egg carton and transform it into a bee? Well, you sure can with this awesome upcycled bumble bee craft from Crafty Morning. Kids will love making these Wooden Spoon Bee Puppets as well as putting on a fun puppet show with them afterwards. 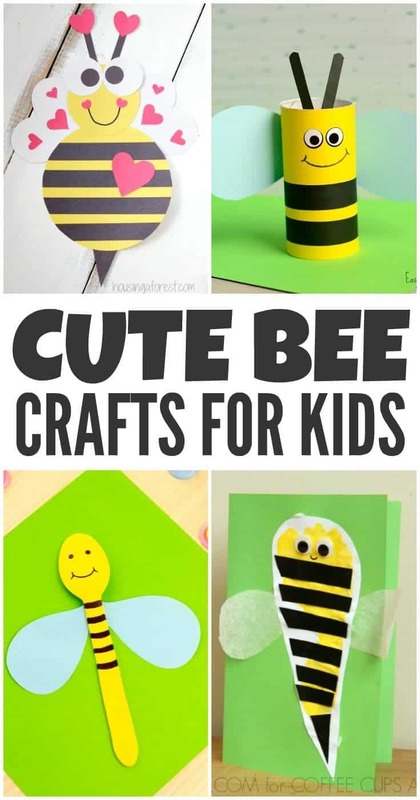 I hope that you were able to find some fun bee crafts for kids ideas that will be perfect to make with your little ones. Let us know what you made in the comments below! we love bumble bees around here… definitely need ot do these! Bumblebees say Summer to me! These are adorable. I used to teach preschool and we had so many cute bumblebee crafts that we used to do with them. I miss those days! Tee hee. I like your jokes! These crafts are adorable!!! The TP roll one is my favorite. These are all so cute! I think it is important to show kids how important bees are to us. I know they sting, but they are very important to our well being. Thank you for sharing. I think the kids would love doing this craft. These are super cute and I would love to make these with my little guys!